JW decided to invest in career coaching to help her set clear goals and actions to achieve her long term career and life goals. She also wanted to increase her confidence. “The coaching was better than I anticipated. I wanted to develop a set of tools that I could use in situations where I lacked confidence, which would help me see situations with more clarity and help me believe in my abilities. “You took the time to understand the issues that I wanted help with, and focussed our sessions accordingly. You suggested a set of tools that you thought would help, and we explored these. “I appreciated having access to an external, unbiased individual who could listen to my concerns. This was invaluable to make me realise my achievements and helping me focus on the positives. Learning to use affirmations was also of particular value for me. “I felt supported and was able to work at a pace that suited me, and where focus needed to change, you were flexible, enabling me to get the best out of my sessions. “After the career coaching programme was complete, I did indeed have a set of tools that I can keep in my ‘toolkit’, and use them when required. I now have more confidence in my ability, and see my strengths rather than always focussing on my development points. “I feel that the coaching has increased my confidence somewhat and has provided me with tools that I can use in the long term. I feel that I still have a way to go to be highly confident in myself, but the coaching has enabled me to prevent myself focussing on negative thoughts at a much earlier stage, which is invaluable. Contact me for your free discovery session to find out if coaching can help you move forward with your work, life or business. There’s no obligation and no charge for this 30 minute discovery call. If you like my approach, then we can book your first sessions and start your journey to making positive change. 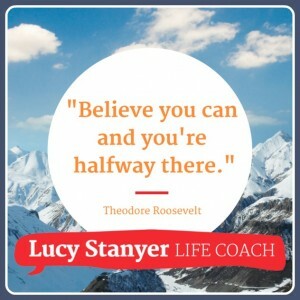 Send me a message via my contact form or drop me a line at hello@lucystanyerlifecoach.com today.